Baby laughing ringtones have always remained incredibly popular on the Internet. Most adults fall head over heel for that little funny cackle. Not only laughter, but baby crying ringtones also easily capture the attention of everyone in the room. They are just terribly funny and adorable at the same time. It is simply hard to hold back your own laugh when you hear those sound. We all know that no one is able to resist the sound of a baby either laughing or crying. Because of that, we would like to introduce to you a wonderful compilation of best baby ringtones. There is both baby laughing ringtones and crying sound in this collection. 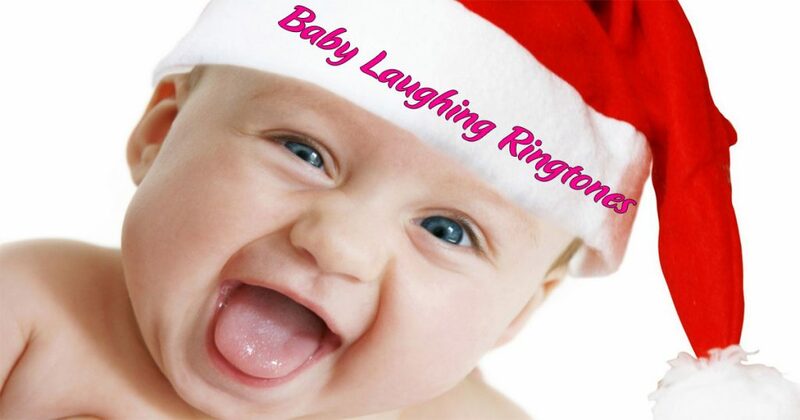 The best thing is, all of these baby laughing ringtones are free for you to download. The files are compatible with both iOs and Android. If you have a knack for baby, this ringtone collection will surely make you happy. You can jump to the end of this article to enjoy your heaven of baby sound and start downloading. Additionally, you can continue reading to find out why baby laughter can make people so happy. 2 Why do adults love hearing baby laughter so much? 3 What about the baby crying sound? 4 What are people saying about baby laughing ringtones and baby crying ringtones? There is nothing that brings greater joy than hearing a baby’s laughter. I bet most parents out there would agree with that statement. Infant science says that laughing is one of the signs showing that your baby actually likes you. In addition, it also expresses the true connection between a baby and an adult. When a baby laughs, it can naturally make even the most cynical person’s heart swell and melt. Especially to new mommies and new daddies. To them, nothing can compare with the happiness from their precious baby child. Moreover, they even go as far as saying it is the most satisfying thing in the world. Why do adults love hearing baby laughter so much? Naturally, because of the mirror neurons in human brain. We unconsciously “mirror” the action of the people who are standing in front of us. More especially, actions such as yawning, sneezing, laughing or crying. They are said to be “contagious”. It means that they are the easiest to “mirror”. Therefore, when you hear the sound of a baby funny chuckle, you will instantly smile too. Happiness is just easy to spread out like that. That is why people keep download so many baby laughing ringtones. Because it can make them feel happy and lift their mood in an instant. Finally, here are 10 joyful and lovely baby laughing ringtones.Theye are guaranteed to make your day brighter. If you are feeling down, this is the place to be. Listen, download and smile along with these cute little God’s creation. What about the baby crying sound? To start with, sometimes our little bundle of joy can fake crying to nag at their parents. Or it is to ask for something they want. To boost, their fake cry often goes along with the hiccup, the stutter, and the cheeky sniffing sound. Secondly, baby’s fake cry can sound pretty miserable but at the same time super funny. Well, that is because the tendency of adults is to laugh at their children’s mistakes. Because mom and dad know that their babies are just trying to make a fuss. That’s what makes it so humorous. 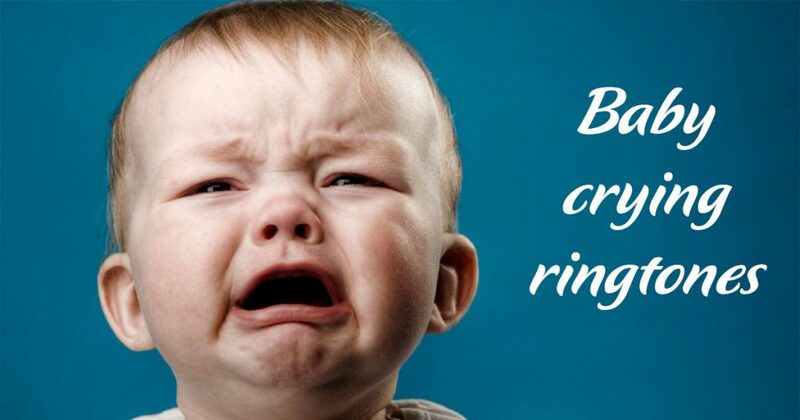 As promised, here are 10 sweet but funny baby crying ringtones. They are for all mom, dad and baby lovers in the world. Enjoy yourself and try not to fall off your chair laughing too much. To end on a good note, keep scrolling down. Let’s read what the Internet is saying about baby sounds. What are people saying about baby laughing ringtones and baby crying ringtones? Not only mom and dad, but also many people have found themselves enjoying baby’s cackle sound. On Youtube, videos of baby chuckling and laughing often attracts a great number of views and likes. From the comment section, it is easy to see comments like these. “Been feeling really down the past few weeks. Then I watched this video and it just put a big smile on my face. The babies made me laugh so much”. “A baby belly laugh is like pure heaven. This video totally made my day, thanks”. We hope that this baby laughing ringtones collection can cheer you up in your dark days. Don’t forget to download these ringtones for free to your iPhone or Android. Share with your family and friends. Especially with new mommies and daddies. They are sure to appreciate these adorable ringtones. Tell us in the comment which baby is your favorite.